Popular character Lenneth comes when you go ahead and register for access to the game. Valkryie Anatomia: The Origin is a continuation of the popular Valkyrie Profile series, and it's headed for smartphones. Square Enix has just announced that anyone who pre-registered for the game before the cutoff time (tomorrow, April 26) will received Lenneth from the original Valkyrie Profile as a bonus. Lenneth is voiced by Yuki Toma and will be available as soon as the game is available to the public. In addition to this announcement, Square Enix let a couple new music samples from the game slip in the form of a few videos, of which you can view one above. 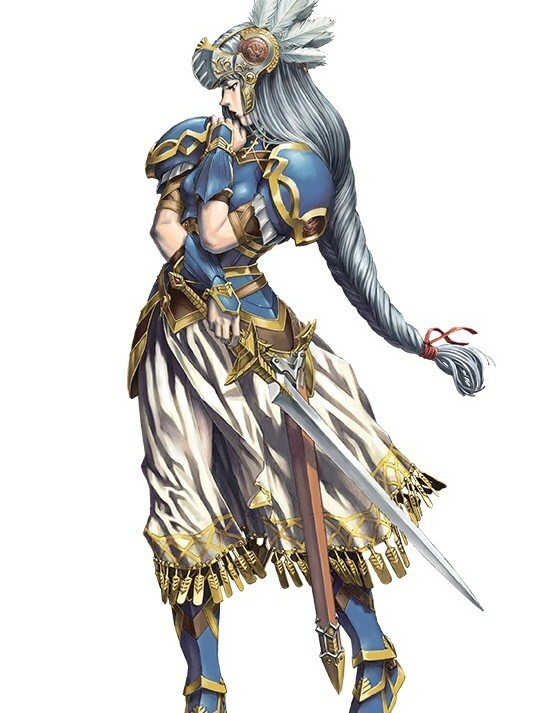 Valkyrie Profile is an often overlooked RPG, but if you've got a PSP or Vita you should absolutely pick up Valkyrie Profile: Lenneth for your handheld, and then go onto its PlayStation 2 sequel Valkyrie Profile 2: Silmeria. Beyond that, Valkyrie Profile: Covenant of the Plume released on DS in North America on March 17 in 2009. There's a rich and engaging storyline within the games that's definitely worth investigating. It'll be weird to see an additional game in the series heading to a smartphone, but it seems that's the world we live in these days.